Inviting Voter Fraud: No document required to vote in 16 states. So .. it's the honor system? If Amendment 3 passes, the Legislature would lose the ability to approve any further expansion of casino-style gambling in Florida, including sports betting. There are some big names behind this amendment. Disney Worldwide Services, the political arm of the mammoth Walt Disney Company, has opened its coffers in support. There are reasons, however, to approach a sweeping prohibition like this with caution. One of them is swirling toward the Gulf of Mexico right now. With big storm after big storm battering Florida, it's easy to foresee a time when lawmakers run out of options — and money — to meet the state's most critical needs. This takes a big opportunity off the table. Gambling already generates hundreds of millions of dollars in revenue for the state, including $280 million this year from the Seminole Tribe of Florida, which operates six casinos across the state. The relationship between the tribe and the state is best summed up as “complicated.” For years, the tribal gaming compact was seen as a gentleman's agreement between Seminole leaders and lawmakers — if the Legislature didn't push for other forms of gaming, the tribe would continue to be generous with payments. But if Amendment 3 passes, “there's nothing left to negotiate for,” says Mike Scudiero, an Ormond Beach based consultant who has worked on gaming issues. This amendment is likely to give the tribe a near-monopoly on games of chance in the state, while shutting down the possibility of negotiating other forms of gambling for anyone. On balance, it's not hard to see why the Seminole Tribe is enthusiastically, though quietly, backing Amendment 3. The idea of voter control sounds attractive, and there are sound public-policy arguments against expanding gambling. But Amendment 3 won't make gambling go away; it's already here. Approving this prohibition would require voters to roll the dice that harder times will never force lawmakers to make tough choices like expanding gambling — and that the Seminole Tribe's generosity won't be affected if it gains such a clear upper hand in negotiations. That makes it a bad bet for Florida. Brett Michael Kavanaugh - Associate Justice of the Supreme Court of the United States. The Kavanaugh nomination turned on two events. First, as I discussed here, Kavanaugh chose to fight. He wasn't going to quietly and gently absorb all of the false, outlandish accusations. Trump's speech October 2 in Southaven, Mississippi, was the second event that drove Kavanaugh toward confirmation. Trump rehashed Christine Ford's testimony. "How did you get home? I don’t remember. How did you get there? I don’t remember. Where is the place? I don’t remember. How many years ago was it? I don’t know. I don’t know. I don't know." Trump wasn't mocking Ford, he was transcribing her. It turns out Trump's transcription made the difference. He accomplished in 36 seconds what took Senator Susan Collins nearly an hour to do — shine a 100,000 megawatt spotlight on the failure of Ford to convince us that Brett Kavanaugh did anything to her. He brags, he intimidates, he pouts, he jokes, he insults, he is purposefully ambiguous, and he leaves no criticism unanswered. He is frenetic and polarizing, a showboat and a salesman. His methods are over-the-top, combative, and divisive. Where others mindlessly repeat politically correct clichés, Trump unequivocally challenges them. He is president of a country that is wilder, zanier, and more unpredictable than before. It is also stronger. The Democrats blatant disregard of due process displayed in the Kavanaugh hearing, and their zeal to crucify his career and hang his reputation upon flimsy accusations .. returns civic discourse to the age of the Salem Witch Trials. The Left’s efforts, now embodied by groups such as Antifa and an increasing number of Democratic elected officials, to demonize and redefine words and concepts are not about defending their positions on policy or winning specific elections. Instead, the Left as a whole seeks to control and redefine the institutions it can, and destroy the institutions it cannot. The Left is challenging foundational and fundamental aspects of the country that make it viable. If Democrats succeed in redefining concepts such as justice, borders, sovereignty, and what constitutes rights, the country will no longer be recognizable. We need to cease being polite and intellectually lazy in countering the Left’s strategy at redefining American institutions. If we do not succeed in doing this, what happened to Brett Kavanaugh will become the norm rather than the exception. In January 2019, three liberal justices are leaving the Florida Supreme Court. Our next governor will pick the replacements. A highly contentious legal and political battle surrounds the three seats, held by justices Fred Lewis, Barbara Pariente and Peggy Quince. All three must depart in January because of a mandatory age 70 retirement limit. Lewis and Pariente were appointed by Florida’s last Democratic governor, Lawton Chiles. Quince was jointly chosen by Chiles and his successor, Jeb Bush, shortly before Chiles died in December 1998 near the end of his second term. All three justices have issued decisions in major cases in opposition to the Scott administration. That could get interesting if Gillum, a staunch progressive who once got into a spat with Scott about Tallahassee’s response to Hurricane Hermine, gets elected. Meanwhile, DeSantis’ campaign said in a statement that he “looks forward to working with Governor Scott” to appoint justices who aren’t “judicial activists who legislate from the bench,” a common talking point throughout his campaign. DeSantis has often compared these three appointments, which have the potential to dramatically alter the philosophical makeup of the state’s highest legal authority, to the national drama surrounding President Trump’s U.S. Supreme Court nominations. But that national spectacle could be replicated in Florida. 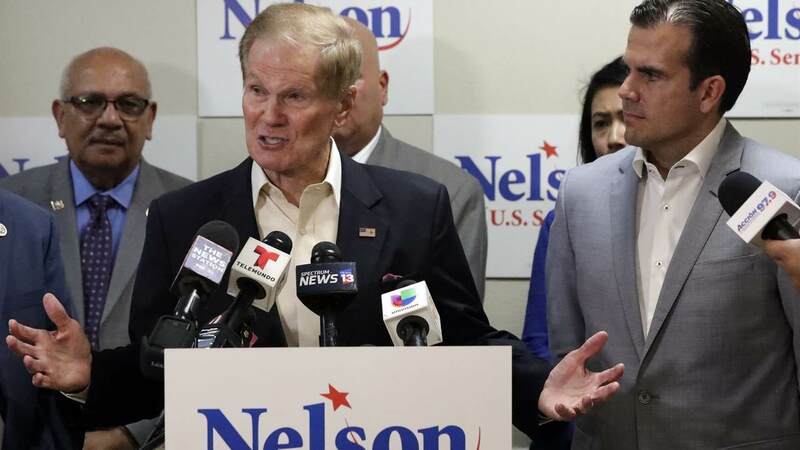 “Rick Scott expects the next governor to cooperate because he expects the next governor to be Ron DeSantis,” said Steve Vancore, a Democratic pollster and consultant.